#1 – the bedding area is painted. In the old ones in Sellers’ blog posts, the bedding area is paint free, and he goes about flattening it to ensure good contact between the cutting iron and the body, which seems to make sense. Would stripping that paint off be advisable? In the picture, you can see a gap between the top of the keyhole in the cap iron and the center screw. 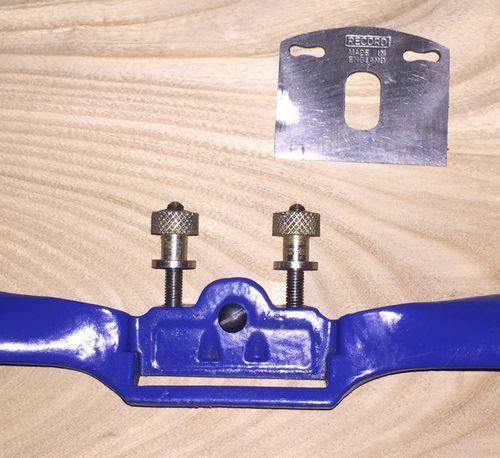 If I push the cap iron down so that gap is removed, the edge of the cap iron goes into the mouth of the body and prevents the cutting iron from cutting. I think you’ll get more responses if you put your images directly in your post. I don’t have a Record A151. I have only a cheap Chinese copy – about $5 shipped from china. I sanded the sole of mine to remove the paint. #3 – If the cap iron is put all the way on the center screw, it clogs the mouth. If I push the cap iron down so that gap is removed, the edge of the cap iron goes into the mouth of the body and prevents the cutting iron from cutting. 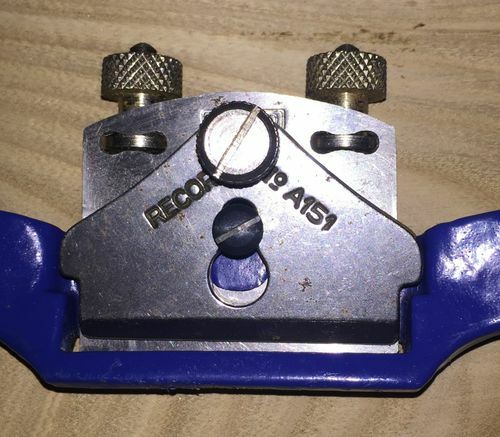 #1 – This is akin to the age-old question, “Should I lap the sole of my jack plane, even though it’s working fine?” Because if you’re getting good results, clearing the paint isn’t necessary. Good contact between iron and plane is needed to reduce / mitigate chatter. If that’s not a problem, it’s up to you aesthetically whether to remove the paint and lap the frog or not. #2/3 – These are cause-effect. The rounded cap iron is catching shavings when all the way to the center screw. Refining that cap iron edge on the grinder should address the problem. My .02, and worth half what you paid to hear it. :-) Nice shave! HMMM…. Haven’t heard of the cap iron clogging the mouth issue before. I have a Record I got back in 1999 (Part of my Y2K traditional tool kit) and mine works just fine. The other possibility is that maybe the blade is set too rank and will need to be backed up a bit. I notice on Paul Seller’s blog he also has the cap iron backed up a tad. Also, the iron should be bedded bevel down I believe. As an update… as I was messing around with it more, I was getting some chatter on somewhat challenging cuts (harder wood, less than agreeable grain, etc.). I went ahead and stripped the paint off the bedding area. Under the paint, the casting was very rough and not terribly flat. I got it somewhat flatter – not 100%, but good enough for now. Next I’ll have a go at the cap iron. mmmh…. the bedding should be dead flat in my opinion if you’re expecting no chattering at all and a good smothness in the cut. As the pictures show the bedding area is not that flat. 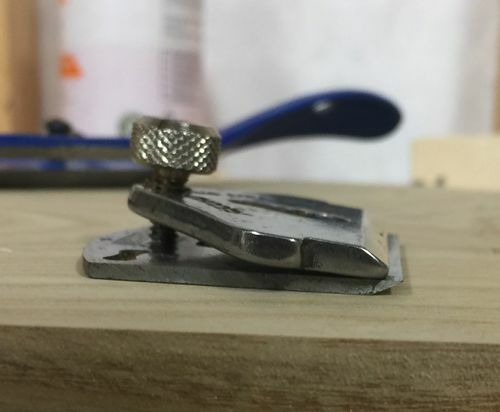 The issue with the cup iron, for the spokeshaves it is intended as a blade holder and not as a chip braker like in the planes, so enough you keep it back up enough to have free passage through the mouth.